Hayley has been attending this year’s DSActive Summer Camp. 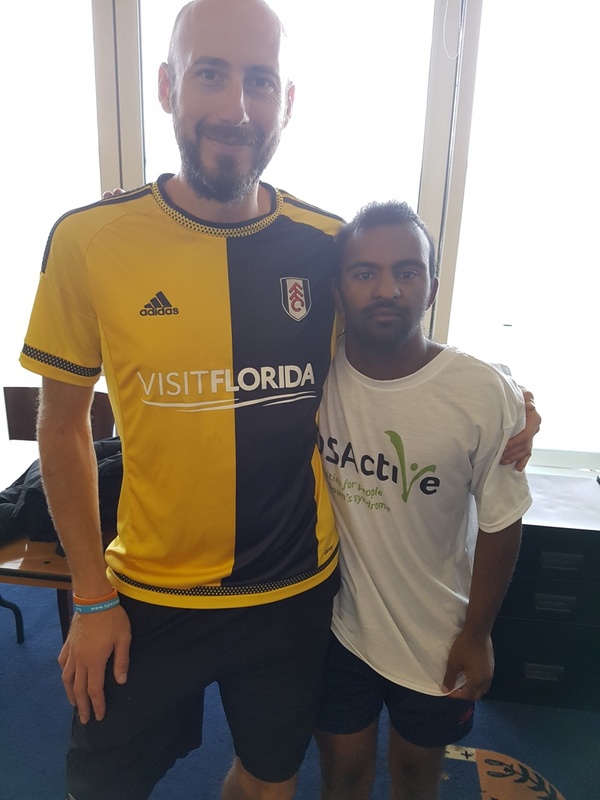 Last week, she interviewed two coaches from the DSActive Summer Camp, Vicky and Howard. Q: What’s your coaching background? 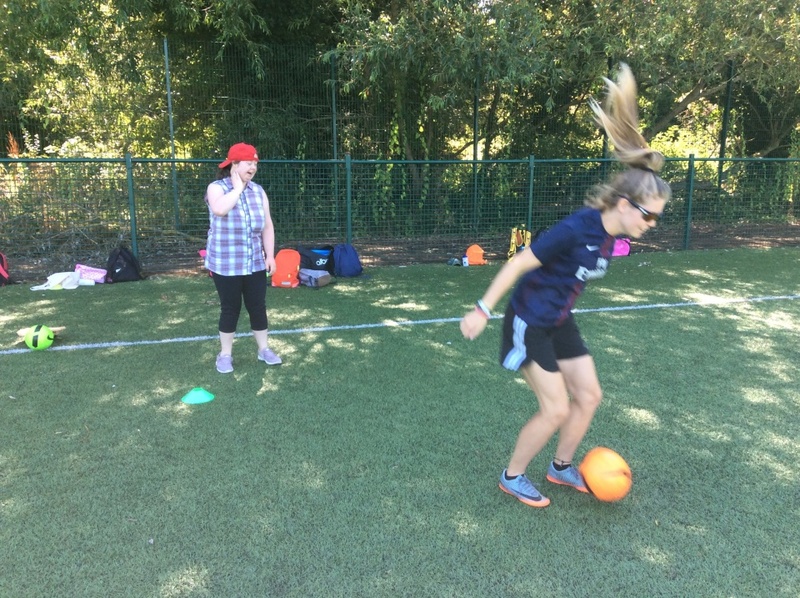 Vicky: Teaching children at school, coaching girls football for girls under 11. Howard: Teaching people, PE and amateur football clubs. Q: What are your favourite sports? 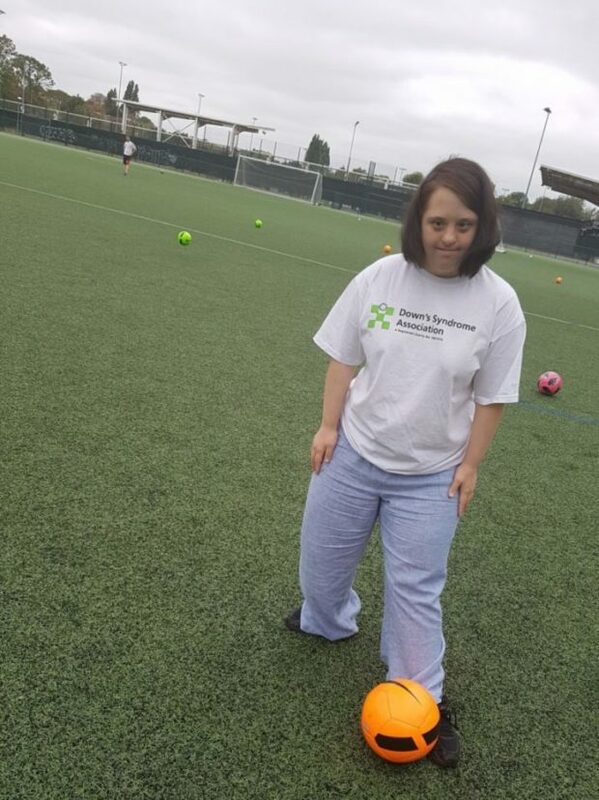 Vicky: Football, cricket and wheelchair football. Howard: Skateboarding, football, Gaelic football, and wheelchair football. Q: What do you enjoy about sports? Vicky: Being active, social and making friends. Howard: Healthy active and competitive good for you. Q: What do you think are the perspectives of coaching people with Down’s syndrome? Vicky: Relationship, trust, fun and flexibility. Howard: Other people might see it as difficult but it is no different than other coaching. Q: What is your motivation for coaching people with Down’s syndrome? Vicky: Helping people who don’t always get the opportunity. Howard: Making sport accessible for everyone and giving the athletes a chance to improve. Q: What advice would you give other coaches who are coaching people with Down’s syndrome? Vicky: Give them time and the opportunity to surprise. Howard: Give them time. Coaches should know who your participants are and what they need. Thank you to Hayley for taking the time to write this article, and also a big thank you to Vicky and Howard.